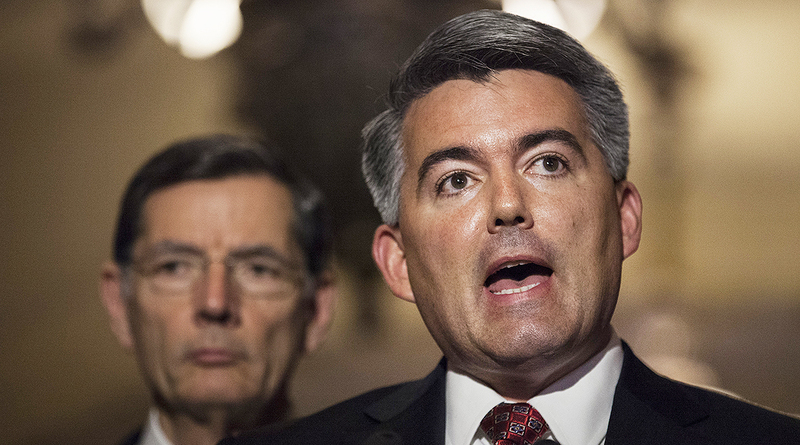 Sen. Cory Gardner (R-Colo.) introduced a bill June 13 that would repeal the federal excise tax that applies to the sale of heavy-duty trucks. The federal excise tax, created in 1917 as a war-funding mechanism, has grown slowly from 3% of the price of the vehicle to 12%. According to the American Truck Dealers, a division of the National Automobile Dealers Association, the tax adds between $12,000 and $22,000 to the price of new heavy-duty trucks. Gardner’s bill, introduced to the Senate under bill number S. 3052, is meant to reduce the financial impact truck buyers feel from the tax. S. 3052 bears a strong resemblance to the Heavy Truck, Tractor and Trailer Retail Federal Excise Tax Repeal Act, introduced in the House by Rep. Doug LaMalfa (R-Calif.) in June 2017. The bill (HR 2946) also seeks to repeal the 12% excise tax on the sale of heavy trucks. LaMalfa’s bill has garnered 17 bipartisan co-sponsors since its introduction. NADA spokesman Charles Cyrill acknowledged the two bills’ similarity, and said they both work to repeal the “onerous and outdated” federal excise tax. The American Truck Dealers group, which represents more than 1,800 medium- and heavy-duty truck dealers, said it is not the only entity that supports Gardner’s bill. In its release, the group said the legislation has also received support from Bendix Commercial Vehicles, Daimler Trucks North America, the National Trailer Dealers Association, Navistar, the Recreation Vehicle Dealers Association, the Truck and Engine Manufacturers Association and the Truck Renting and Leasing Association. The federal excise tax contributes to the Highway Trust Fund, which assists states with maintenance and construction projects. The fund remains a pressing concern for legislators and transportation officials. Improvements in fuel consumption and shifting driving habits contribute to the account’s steady decline, prompting several general fund transfers in recent years to maintain its solvency. In November, the American Transportation Research Institute addressed the issue of highway funding with a report titled “Framework for Infrastructure Funding.” The report determined that a federal fuel tax increase is the best option for achieving a large-scale infrastructure program. ATRI Vice President Daniel Murray said that federal and state fuel tax systems are the most efficient because they are administratively inexpensive.